The City Govt is offering P50,000 cash reward to any person who can provide vital information that could lead to the arrest of the suspect responsible for the gruesome killing who was found dead inside a hotel yesterday. City Mayor Oscar S. Moreno today announced that the City Government of Cagayan de Oro is offering P50,000 cash reward to any person who can provide vital information that could lead to the arrest of the suspect responsible for the gruesome killing of a teenager who was found dead yesterday July 12, 2016 inside Sogo Hotel, this city. "I am appealing to any person who has knowledge or personal information on the whereabouts of the suspect to directly report to my office or police authorities even as I strongly condemn to the highest degree the murder of this young lady," Mayor Moreno said. "I also express our deepest condolence and sympathy to the grieving families, friends relatives and loved ones. Rest assured that the city will xhaust all means available so that we could put the suspect behind bars, and bring justice to the 17-year old victim," he added. 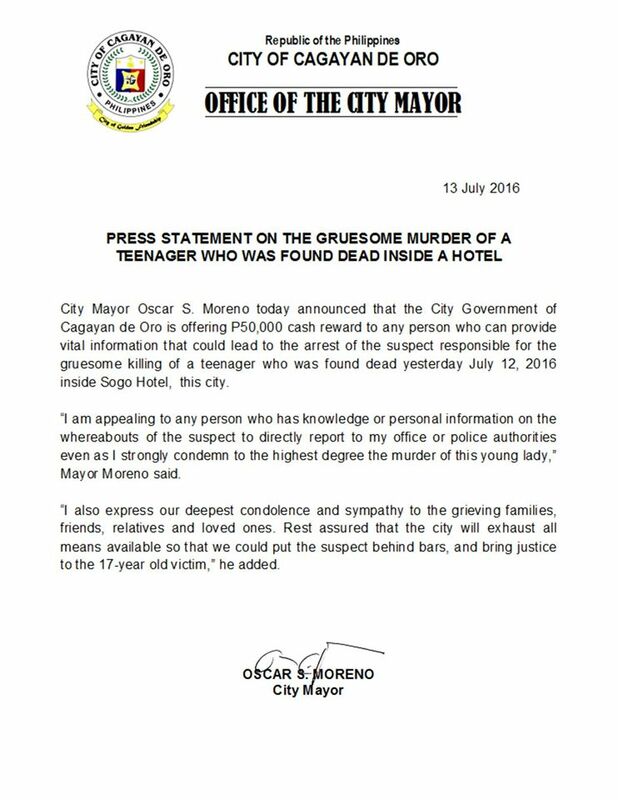 It has been reported yesterday tha the 17-year old girl was found dead at Sogo Hotel in CDO at dawn of July 12, 2016, where the body was found lying on the floor on one of the hotel room's Comfort room. The suspect has caught on CCTV camera went out alone wearing shades and identified as certain Jason Caramba from Cebu City. The police are currently searching for the suspect as of this writing. 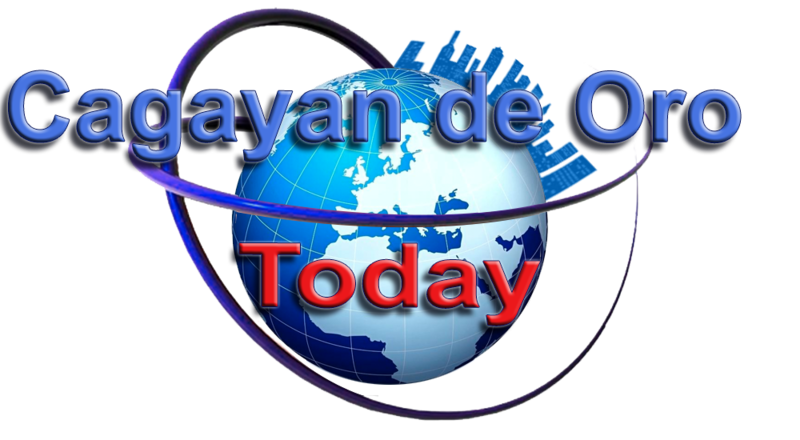 UPDATE: The reward has been increased to 80,000 Pesos.